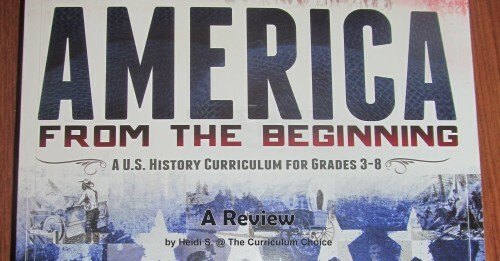 I researched several options for American history to use in our homeschool, and this one stood out among the rest. America from the Beginning truly does start from the beginning! The curriculum begins with Creation and explains how the first inhabitants came from the Tower of Babel and takes you on a journey through the lives of some of the most influential people in American history. I love that the text is focused on the people in history and their stories surrounding the events that shaped America, which adds a personal touch to history. I like how the text fills you in on what is happening around the world during the period you are studying. 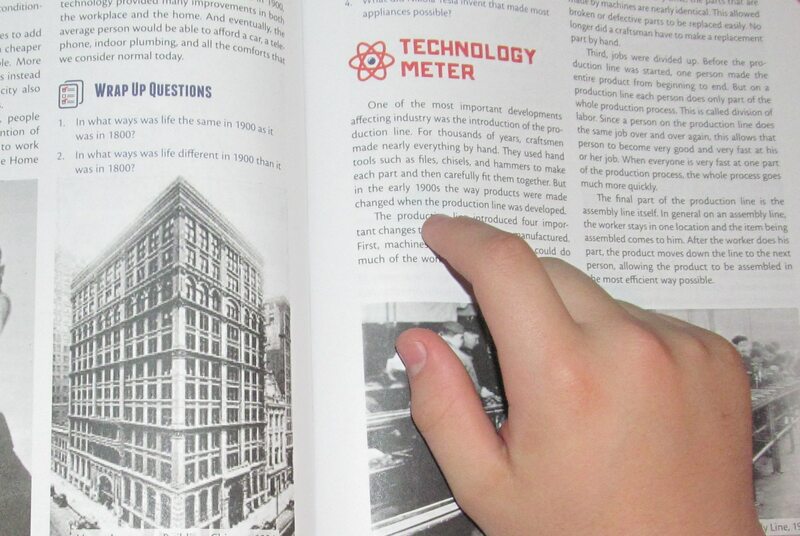 My sons especially loved the “Technology Meter” sections of each unit. It was a lot of fun to see how technology advanced throughout our history. The hands-on activities and timeline assignments were not overly time-consuming and were just enough to reinforce the lessons. The curriculum is written for third through eighth grade; however, we were able to include my first grader in the study because the text is easy to follow. 376-page full-color student text for grades 3 – 8, which includes daily reading and activities, as well as review questions. Teacher supplement has review question and quiz answers along with helpful teaching tips and optional resources to supplement the text. CD-ROM with reproducible worksheets, maps, timelines, quizzes, and tests. Answers in Genesis is a publisher I know I can trust to bring Creation to the forefront, and this curriculum did not disappoint. I recommend this to anyone with an interest in American history, regardless of age; I learned a lot myself from this study. Would this book be suitable for a secular homeschooling family? Could the religious components be skipped over? Thanks. The religious references are quite prevalent in this book. You could skip over them, but the entire foundation of the program is built on a young earth/biblical approach to studying history so it would be difficult.